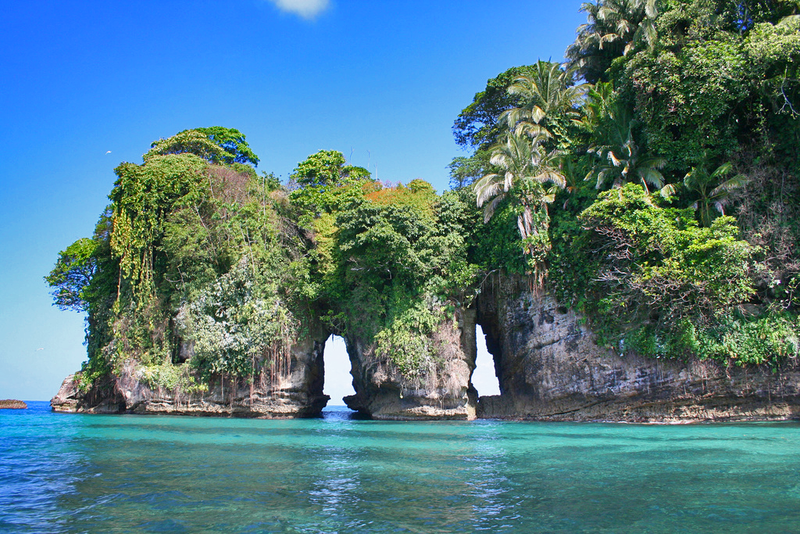 So, here I am living in the island paradise of Bocas del Toro, Panama. It’s a beautiful Sunday afternoon. Overhead, the sun is playing tag with fluffy clouds lazily drifting in the tropical breeze. The sea out in front of the dock is as calm as a lake. It’s one of those days where the water is that striking blue color that takes your breath away. So clear and clean I can see fish swimming in the turtle grass 20 feet below. The shimmering reflection of the palm trees across the bay makes it look like an artist painted a giant upside down postcard perfect island dreamland to match the reality of the beauty of the sand beach shoreline. So with all this fantasy turned to reality in my world, why am I sad today? Well, it’s a long story but when you hear it, I’m sure you will understand and be in deepest sympathy for me. So let’s start at the beginning…. I have always had the dream of living the life of tropical island beaches, warm clear waters and quiet lazy afternoons. It took a lot of years of dreaming, planning and hard work to finally get here. When I finally was able to live in Bocas del Toro full time five years ago, I truly believed that I had arrived at the focal point of all my hopes and dreams. In the first couple of years, I made new friends, explored my surroundings and learned an amazing amount about what it actually means to live in a semi-remote island community in a foreign country. As always, there are things that you cannot imagine and some things that you don’t expect when you enter into any new situation. Moving from the comfort-laden environment of Colorado to here, naturally produced some of those unanticipated consequences. For example, I had no idea that the sun comes up in the South in Panama. Yeah, yeah, I know! A lot of people have tried to convince me differently but I swear, it’s true to this day. But besides that, I discovered that even though I could not get my favorite box cereal here, I had a dozen or more fresh, new, delicious fruits to choose from for breakfast every day that grow right on the islands I live on. I found that I really didn’t need a car to survive and in fact a bicycle had been my transportation of choice for years now. I love coasting through town to get groceries or taking a leisurely ride along the beach for no better reason than, “just because”. It slows down the pace of life. It lets me say hi to my friends and neighbors as I go and gives me some exercise along the way. We got a boat. You know, one of those money-pit things that floats and moves over the water. Well, it’s true. B.O.A.T. stands for “Break Out Another Thousand”. But little by little we got established (boat-lift, battery, lights, depth-finder, fishing gear, snorkel gear, floaties, etc, etc, etc.) and progressed past boat-docking 101 with only minor damage. From that point on, our life changed. What we had experienced in these islands up to that point was a drop in a thimble compared to the enormity of the world awaiting us in this beautiful archipelago. We spent every moment we could on the water. Went places and saw things that I had no idea even existed even after having traveled and lived here on and off for over eighteen years. Throughout the ensuing years, I was on the water as much as I was on shore. It became a great and wonderful part of my life. I was challenged by the times when the seas got high or a fast-moving rain storm surrounded the boat in a white-out that made it impossible to know where you were or where you were going. I was thrilled by the sight of all the marine life that shares the seas. Dolphins, turtles, manatees, rays and huge schools of fish along with an amazing array of seabirds were welcome discoveries on every ocean venture. Exploring new horizons and finding new communities or new places to snorkel and investigate the underwater world close up. Some days it was enough to just let the boat drift through the mangrove islands and read a book or snooze in the shade of the bimini. But bottom line was, I loved it. I looked forward to the richness of the sights, sounds and smells of the islands and the sea. Whenever possible, weekends were reserved for “boat time”. It got to be a habit. Something to look forward to and cherish. And that brings us up to the current moment. It’s the weekend. It’s beautiful out here. The weather is perfect, the sea is tranquil…and the boat is broken. The motor has died. After 15 years of dedicated service propelling friends and then us around these islands it could do no more. So, now I wait. A new motor is coming. I truly believe in Santa Claus and I know that it won’t be long now. But in the meantime I’m feeling like something is missing in my life. Something is incomplete. And my wineglass is empty.